Where do I go to download MME for MikuMikuDance? How do I install MikuMikuEffects in MikuMikuDance? LearnMMD MME Tutorials. Where can I get MME? To install MME, you first have to download MME. DOWNLOAD MMEffects (MME Effects) with English Instructions from the LearnMMD Downloads page! After the download is complete, unzip the file. You will need the latest DirectX version of MMD for this, version 7.39 or higher. Make sure you have the MMD folder unzipped before you start the process. Go into your new MME folder and drag d3d9.dll, MMEffect.dll, and MMHack.dll into the main MMD folder. They just need to be in the same folder as the MikuMikuDance.exe. That MMD folder also contains DATA and USER folders. Now open MMD. Look in the top right corner of the toolbar. Do you see MMEffect there? If you do, you have successfully installed MME! Congratulations! Now you are ready to add some Effects to MikuMikuDance! How I can download latest vesrion of MME? All links are on the Downloads page. Hello there, on my computer mme is still working but only with my USB key not with my computer it self. When I put an effect like RayCast, the file ray.x is not working like the other effest !! I have to put the fx but on ray.x it’s says that the file cannot be specified. WHAT SHOULD I DO !!!!!!!!!!!!!!!!!!!!!!! Try some other effect! … Raycast is not “just an effect”. Raycast… Ray MMD… looks awesome but you have to proceed through the proper steps in a proper order. 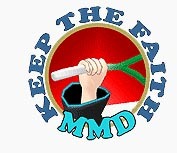 LearnMMD.com has pages and pages devoted to Raycast. An effect like SSAO or Autoluminous you can simply load the .x file… Raycast is a process. I put in everything in the folder, restarted my computer to see if MME would load yet, but it hasn’t put the option in the corner. I have been looking and looking and looking for the button buts it isn’t there. Can someone please help me out with this? Have you installed additional required software? I can’t seem to get MME working with the new version… every time I install it, MMD won’t open. But as soon as I remove the three .dll, MMD works fine. Does anybody know how to fix this? By the “new version”, do you mean that you had successfully worked with some earlier version before? Are you sure you have all the necessary software? on my older version (on my other computer) it worked fine with MME. It doesn’t give me any errors or anything. It just doesn’t open. First, there are 32 and 64-bit versions of MMD and MME both. You must have those versions to match, otherwise MME won’t work. Second, do you have that additional software installed on your new computer? Do not rely on your memory; go and check. I’ve tried both versions, with their proper counterpart, but no luck. As for the second thing, what software are you talking about? Like the DirectX and C++ stuff? Because I tried those as well. Same, I’ve tried everything and I still can’t get it to work.